Murmurations is a short film is inspired by my documentary photography project Starlings Above which won third place in the Fine Art – Natural History professional category of the Sony World Photography Awards 2009. There is something innately beautiful in the way starlings fly together, forming hypnotic shapes and patterns in the sky above. This short film was captured using a Canon 5D Mark II with a Canon EF 24-105mm f/4 L IS USM in Blackpool between December 2009 to January 2010. 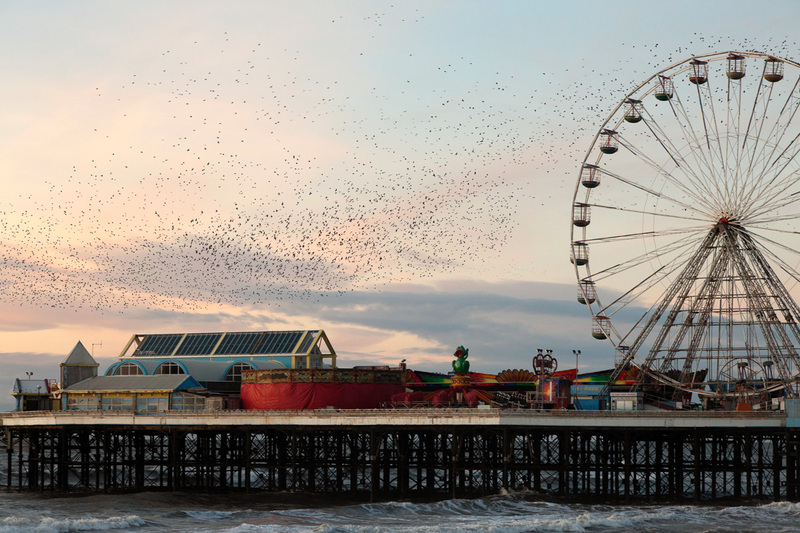 This entry was posted in Nature and tagged Blackpool, Flight, Murmurations, Natural History, North Pier, Starlings.